The mobile app world can feel like a professional sport sometimes: the teams with the strongest players, best coaches, and fanciest training facilities (offices) are always on the podium, right? These features would be nothing without an effective game plan, though — or for mobile apps, a growth strategy. If you have the best resources at hand but don’t know how to effectively use them, you’re not taking home the gold medals. This is where a growth strategy comes into play. In fact, it’s often the key to your mobile app’s success. 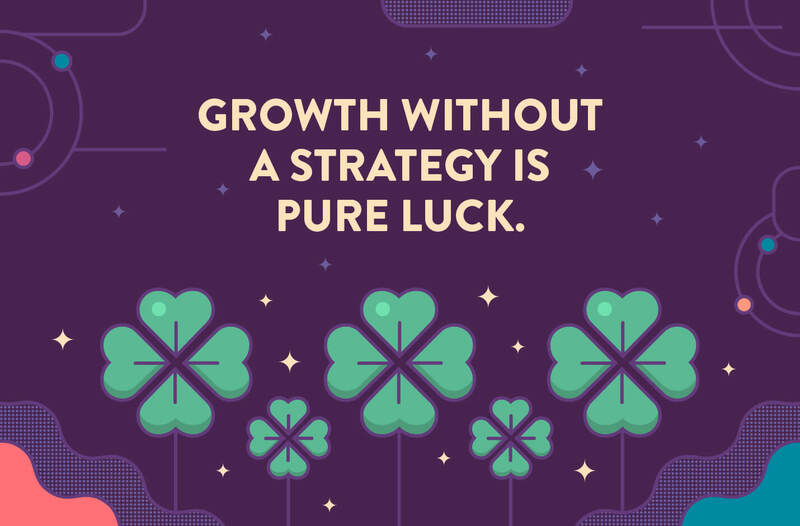 There’s no magic formula to achieve overall growth, but having a strong team, product, and desire to move forward, paired with that common mindset, will define your growth strategy. If your growth strategy is the overall plan that can take years to unfold, growth hacking is an initial strategy that can jumpstart growth, but it’s not always sustainable. Just because growth hacks are one-off in nature doesn’t mean they can’t support the cause. Growth hacking is a tool that entails experimentation across your company for finding the most efficient routes to business growth. Constantly tinker, throw things at the wall, and see what sticks — you may end up with a one-time success or a tool for repeatable, sustained growth. For example: It’s great for initial customer acquisition, but not always conducive to long-term growth and retention. Food delivery apps often offer a free meal or delivery discounts just to get people to sign up, but that’s not sustainable once you have several thousand users. Read on for 10 successful mobile app growth strategies from the real world. Messaging platforms are more than just for talking these days: many promote games, stickers, GIFs, shopping tools, and who knows what else. WhatsApp stands apart, though. Their focus has always been on rock solid core functionality with a simple, user-friendly model — any expansion has been directly aligned with those core tenets in mind. Don’t be afraid of simplicity. New developments that distract from the core purpose of an app may intrigue some users, but the likelihood of driving others away is too much of a risk. 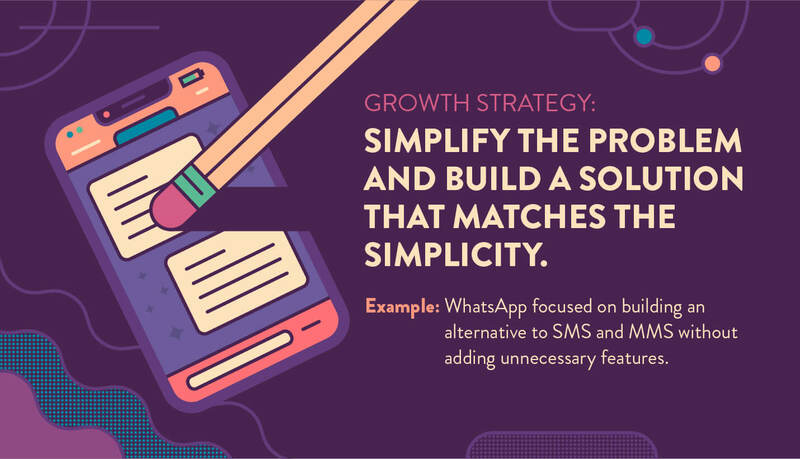 WhatsApp nails it when it comes to methodical expansion and practical tools — cut the fancy bells and whistles if they don’t serve your main purpose. Slow and steady wins the race — even when it comes to acquiring over 130 million subscribers across 190 countries. Netflix has methodically executed their expansion, with a focus on working with markets and forging relationships to facilitate growth. They’ve applied that methodical nature to their app growth. 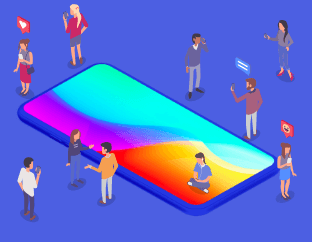 As one of the many apps constantly vying for user attention, they approach it in a unique way. Why not make it easier for users to experience Netflix on their mobile devices? The company partnered with Verizon to preload their app on Android phones, cutting out the hassle of downloading.3 New Android phone owners have the opportunity to sign in with their existing Netflix account, become a subscriber, or just delete the app altogether — hopefully it’s one of the first two. It’s a growth strategy that eliminates an initial roadblock many apps face: getting people to hit the download button. The benefits of well-executed referral programs are widely known. Uber is the referral program champion because it’s tapped into its most valuable resource to fuel growth — its riders. Frequent riders have the opportunity to give new users a free ride in exchange for a free ride themselves.4 While it may seem pricey on Uber’s end — acquiring a new customer is typically more expensive than keeping one in the boat — ensuring the loyalty of regular customers locks in their commitment. 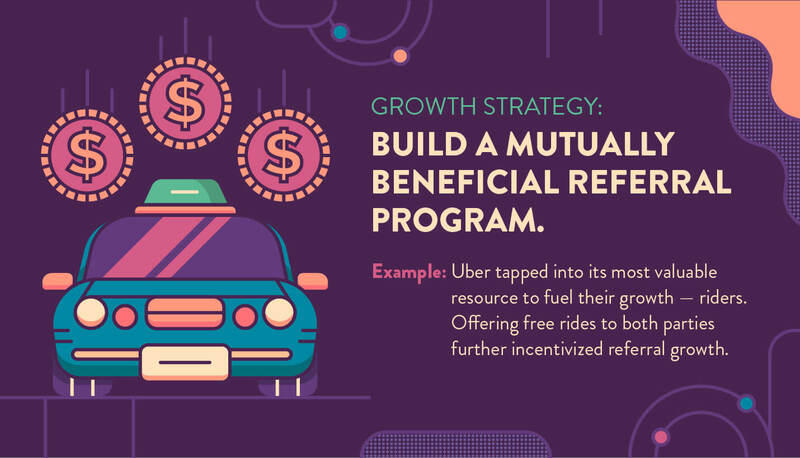 In a highly competitive transportation market with numerous options available, Uber’s referral program is a win-win scenario. It opens the door for new customers while cementing existing customer relationships. It’s a growth hack for new users as well as a growth strategy for nurturing user engagement. Since Spotify launched in 2008, they’ve been on top of the music streaming game. They owe their growth to methodical expansion, research and development, artist and user growth, and a little bit of exclusivity. An invite-only launch helped them regulate high demand and also keep potential users wanting more. A strong foundation allows Spotify to capitalize on the ever-changing music industry — rivals TIDAL and Apple Music are gunning for a piece of the action, but neither have taken top spot yet. Original content, curated playlists, and partnerships with major artists for Spotify-only projects keep users engaged and coming back for more. One thing’s for sure: Spotify filled the music streaming market gap, but made sure to establish their roots early on for effective growth, thus paving the way for their more exclusive and innovative tactics. Bumble is the mobile dating app that turns common romantic norms on their heads: women are required to make the first move, which goes against what every romantic comedy has ever told you about dating. However, the app does more than just find your next romance — it can help you find your perfect business partner. 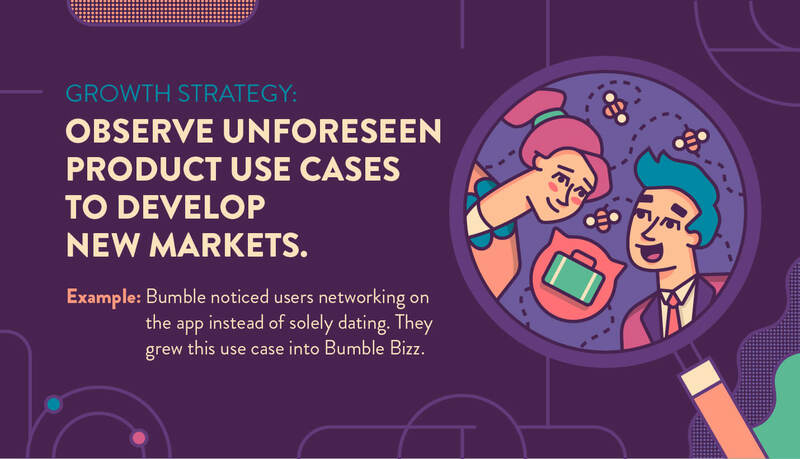 Nearly three years after the app’s initial launch, Bumble Bizz was born of not all users using the app for its intended purpose. Some were putting their work experience in their biographies and intentionally connecting with others who did the same, instead of seeking love. Thinking outside the box from the start, then meeting the needs of the market, has helped Bumble grow into one of the most well-known names in the app world. When it comes to measuring mobile app prosperity, it makes sense that quantity usually trumps quality. More downloads = more success. While they have fewer overall downloads than Uber, their user engagement is higher because of the community they’ve built.7 They’re proof that a brand’s commitment to their customers bolsters receiving that commitment in return. Lyft has established mission-based values that focus on community building, environmental awareness, and social engagement. Lyft makes it a priority to care — about its drivers, riders, the environment, and social activism. This attentiveness attracts users yearning for something more. Building a brand around values may not get you the top spot in terms of downloads, but it’s a surefire way to attract users that will stick around for the same reasons your brand will hold steady. Build for quality, not quantity, and the quality is sure to outweigh any loss of quantity. The attention span of mobile app users is shrinking exponentially, so you have to act fast in order to keep them from jumping overboard as quickly as they boarded. The same goes for onboarding new users. If they hop on your app and receive little to no direction on how to get started, you’re essentially escorting them out the door yourself. Growth marketer Andy Johns implemented a number of measures during his time at Twitter. 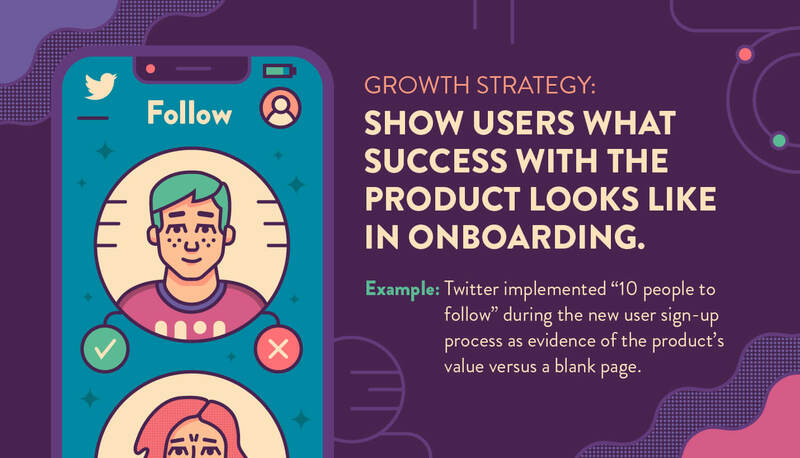 He helped streamline the onboarding process to revolve around introducing a “10 new people to follow” feature at the end of a new user sign up.8 This hack ultimately folded into their bigger growth strategy when it proved successful. Even if they don’t follow those 10 people forever, a new user is given a glimpse of what Twitter could be for them and encourages them to stick around. From day one, Slack has met the needs of its public, giving them efficient, easy-to-use technology for internal workplace communication. They present a scalable remedy to internal communication roadblocks faced by companies of all sizes. Whether your team has 12 or 12,000 employees, Slack can be organized and adapted to your business communication needs. Keeping your audience in mind is important, but looking beyond to see how everyone can become your audience is a great growth tactic. A simple, easy-to-use, and customizable platform is often better than the fancy new thing that only a small part of the market can use. Plus, it doesn’t hurt to have animated GIF capabilities to enliven even the driest of office correspondence. Pinterest is the go-to content sharing tool for topics ranging from home design and outfit inspiration to travel and technology — not to mention, killing time during boring meetings. The massive amount of content presents a challenge: how do you get what users want to their screens without losing them? Pinterest has improved their search engine over time to be smarter and more precise, but their Lens tool helps take mobile app users to the next level. Introduced in early 2017, Lens is a visual search tool: take a picture to find images that are visually and aesthetically similar. 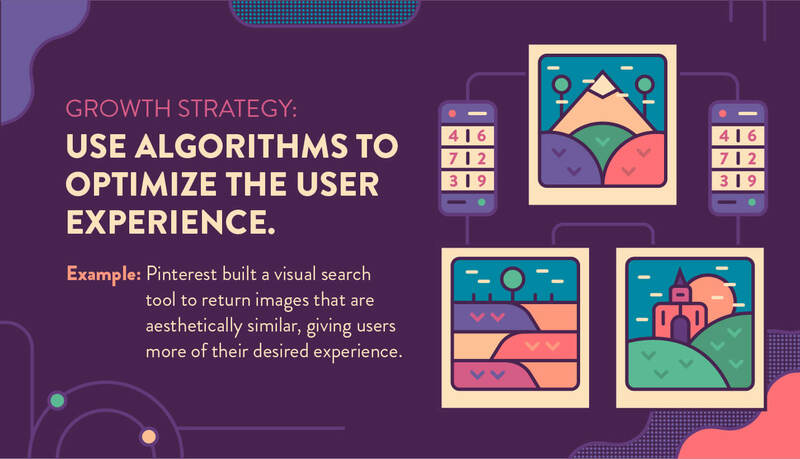 After its first year, Pinterest Lens user engagement increased to 600 million searches every month, a 140% year-over-year increase.10 Lens is a testament to what a fresh take on technology can do for your growth strategy. Canva is the graphic design tool for people who aren’t graphic designers. Its user-friendly tools and interface give power to the user in a notoriously non-user-friendly world — graphic design is difficult, expensive, and not that easy to just jump into. Launched in 2014 after success with its web interface, the Canva iPad app took its stellar experience mobile. One thing’s for sure: in a world where things like fast fashion and quick fixes compromise quality for convenience, Canva does the opposite — and it’s their golden ticket to growth. Don’t be afraid of growth hacks. Try new things! They may just keep boosting your growth and become part of your overall growth strategy. It’s okay to be a little exclusive. A little exclusivity can keep the desire for your app high, which can ultimately translate into growth. Simplicity isn’t bad. There will always be apps for games, fancy new technology, and whatever else is new-fangled and fun. Reliability, ease of use, and a rock solid foundation are better tools for a successful growth strategy. If it ain’t broke, don’t fix it — work with it. Understand where you can work with a new market and forge solid relationships. Stomping in with a plan to conquer all is rarely sustainable. Listen, then listen some more. Your users will tell you what they want and need. Tap into this — create a symbiotic relationship and fuel your growth, as well as customer loyalty. Is your product going to be useful in 5 years? It’s nearly impossible to predict the future — we’re not telling you to try. Keep the purpose of your product and its overall value top of mind: a fast-rising trend now will likely be gone in a few years, if not sooner. Be malleable. What worked then may not work now, or next year. Be open to changing your game plan if it stagnates. There’s no secret sauce for the perfect growth strategy. Keep in mind the market, your audience(s), technology, and product needs. With these front and center, you’re much better off when it comes to developing a growth strategy. Take our mobile growth quiz to determine how your tactics stack up to industry best practices. CleverTap can help you develop your growth strategy and launch you into a world of successful app bliss.